PLANET in PERIL, your "one-stop shop" for the truth about our planetary crisis. : Friends of the Earth Fights for Bees. PLEASE DONATE!. Friends of the Earth Fights for Bees. PLEASE DONATE!. Donald Trump’s EPA could soon allow bee-killing neonicotinoid pesticides to be sprayed on 165 million acres of farmland. 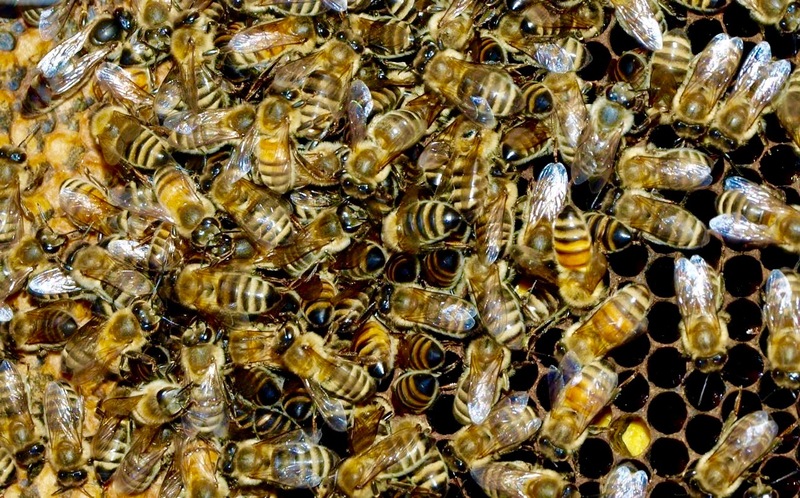 A honeybee hive in Manitoba, Canada. PinP photo. Chemical giant Syngenta requested permission to douse our crops with these toxic chemicals. If the EPA grants Syngenta’s wish, the impact on bees and other pollinators could be devastating. From your backyard to garden retailers to supermarkets, we’re cutting off the demand for bee-killing pesticides. And we’re pushing states and the federal government to ban them. But we need your help to keep this important work going in 2018. Bees are dying at alarming rates. Monarch butterflies are declining. And a new study found that 75 percent of insects in German nature preserves have disappeared over the past three decades. Scientists say this indicates that we are in the midst of an “Insect Apocalypse.” One of the key culprits is the massive increase in the use of pesticides. And science continues to mount that these same pesticides are harming children’s brains, disrupting our hormones, contributing to cancers and more. That’s why we need a rapid shift to organic agriculture -- which is better for people and pollinators. These pesticides are harming our health and our food system. But they’re generating millions in profits for Syngenta, Bayer, Monsanto, Dow and other pesticide companies. They spend millions every year on lobbying -- in part to block the EPA, state agencies and lawmakers from taking action on their bee-killing products! We need your help to stop the pesticide industry: Will you give $27 -- or more -- to Friends of the Earth?